Excellent range of Flowerpots beers all superbly kept; hardly surprising as the brewery is across the car park. Prices are very reasonable; where else in Hampshire can you get a great bitter for £3 in a convivial and relaxed setting. Beware you are about to receive a visit from MillHouse of this parish. Stirling 1234, whilst I don't necessarily disagree with any of your comments, they would hold more weight if you had passed comment on any other pub in the world. You say you have been in to many of them, but not bothered ever to pass comment on this web site? Strange. Just about the best pub in the world and I should know; I've been to most of it. A proper old country boozer. Full marks for no kids inside. Full marks for own-brewed beer direct from the barrel with no horrible frothy nozzles. (If I wanted a creamy head over a (consequently) flattened drink I'd buy a cappuccino). Full marks for sensible menu. Full marks for great range of ales and for the regular "field trials" brews. Great beer festival on August Bank Holiday with camping facilities for those with more sense than to drive home. I'm so glad the people who said they'd never go there again won't be going there again. Perhaps they should go to a MacDonalds or a theme park or a plastic kitsch grockle trap beverage outlet in some la-la land deseynah-world run by a twennie-something-years-old mannidgah with the master key to the electronic till and who has to get home to his or her home in the next town after calling time. I don't want to see them or their womb product wrecking a relaxing an convivial atmosphere. No one arm bandits, juke boxes or other trashy seaside junk. 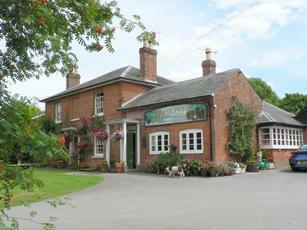 This is a real pub run by real people with real interest in their own business and a genuine pride in their own produce. It shows. Decent village local that doesn't give in to the urge to provide 'distractions'. 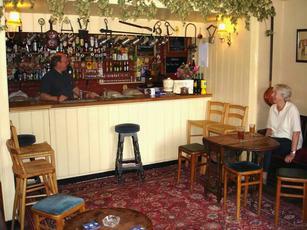 Has it's own ale which went down quite well and staff coped well during a very busy period. Some people weren't happy having to wait for food - should have gone to McDonalds then.